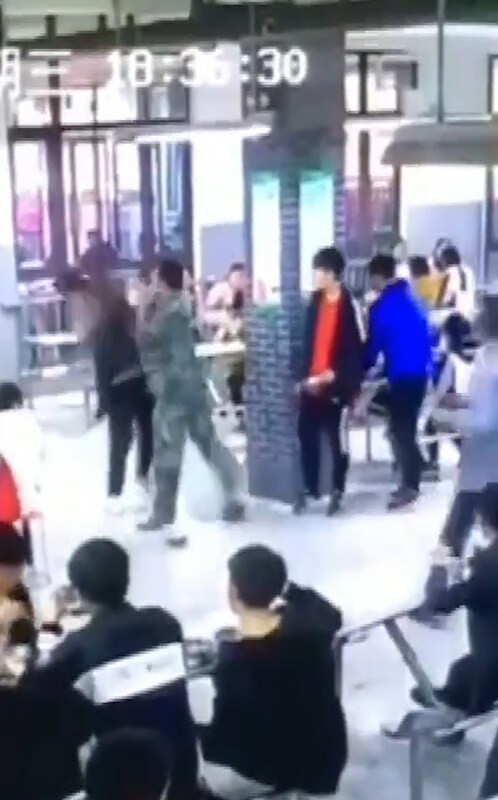 This is the moment a schoolboy is repeatedly kicked and slapped by an instructor who pins him to the floor in front of hundreds of his peers inside a crowded canteen. 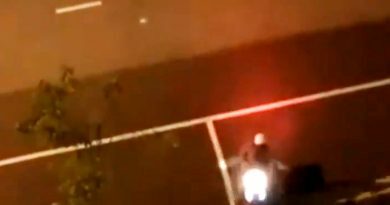 The shocking incident was captured by a CCTV camera at Siyuan Experimental School in Dengzhou City in Central China’s Henan Province, and has been viewed more than two million times at the time of writing. 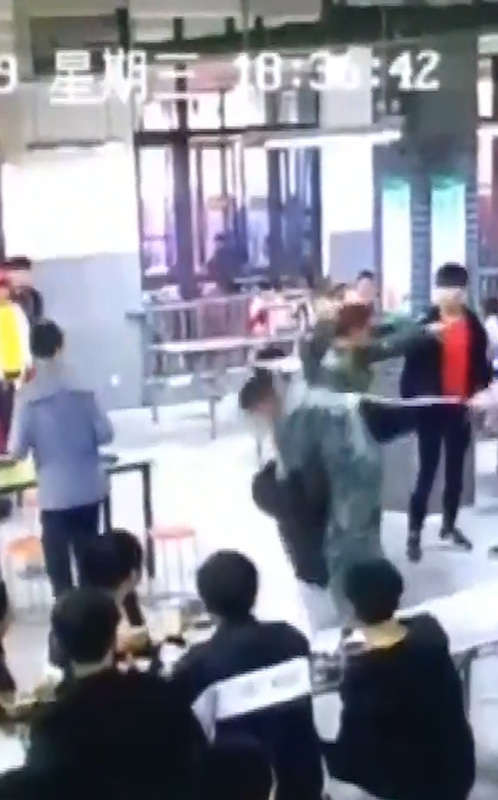 The clip shows the school instructor, surnamed Zheng, kicking the pupil before continuing to scold him. 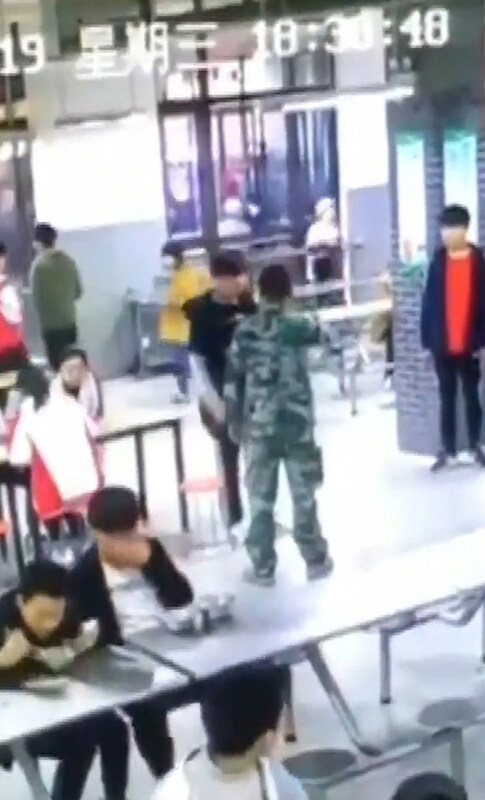 He then kicks and slaps the young man several times as he tries in vain to fight back by wrestling the instructor who is wearing camouflage attire. 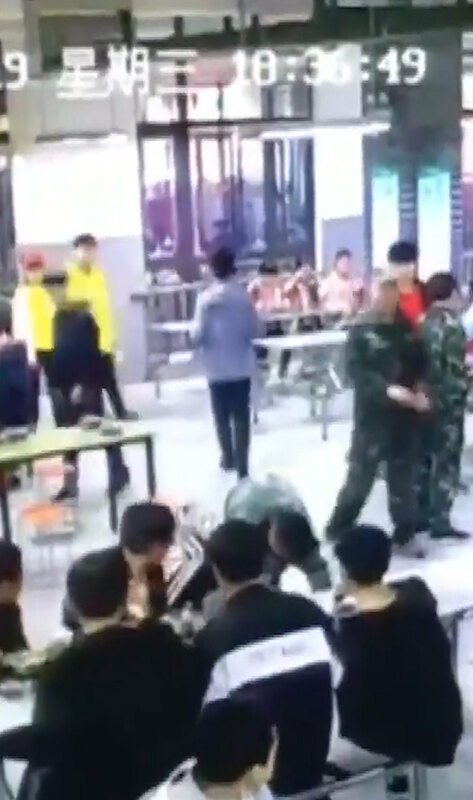 He is, however, quickly overpowered and thrown to the floor, where he is pinned by the disciplinary officer as hundreds of peers watch on in the canteen during lunchtime. 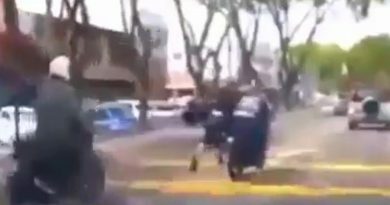 The clip ends with the instructor eventually standing the boy, who is reportedly 14 or 15, back up. 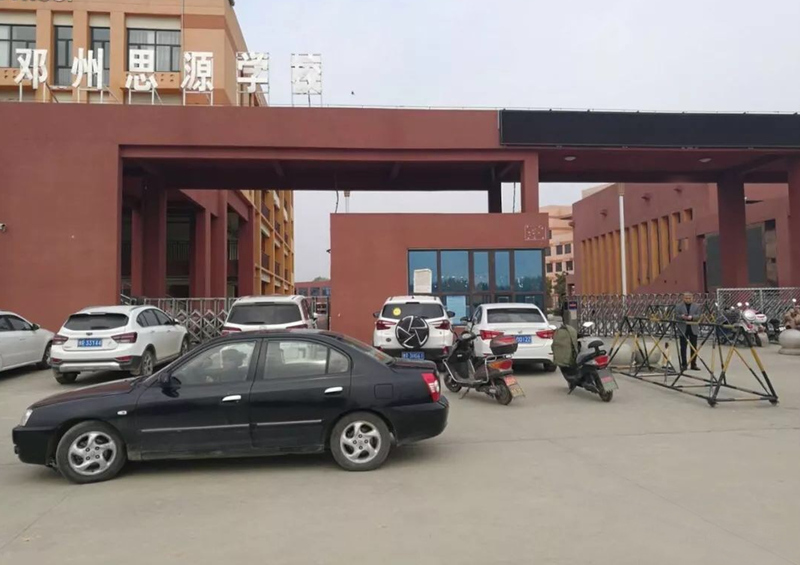 According to the school, the incident happened after the boy, surnamed Wang, and two of his friends failed to obey canteen rules on the day. 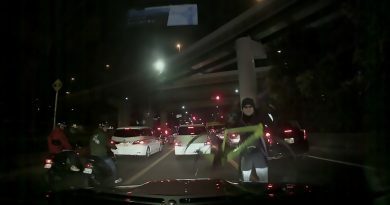 When the instructor attempted to warn them, Wang allegedly talked back and responded with backchat, leading to the inappropriate response. Officers with Dengzhou’s Tuanhe Police Station said they have jailed Zheng for 15 days and fined him 1,000 RMB (113 GBP) over the violent conduct. The secondary school has yet to revealed whether it would dismiss him. The extent of the allegedly disobedient schoolboy’s injuries were still being evaluated at the time of writing.